About Jiyoon E. Message Jiyoon E.
Jiyoon was very sweet and had lots of energy. Great tour for first time in Seoul. Jiyoon was a pleasure to be with and super glad she was recommended to me by the people here. IF you had to pick someone, I would say choose her! amazing. She was very fun to be with and was super educational. Always made sure I was okay. We enjoyed out tour with Jiyoon very much! Her english is excellent , she is very knowledgable about Seoul and customized the tour to meet our interests. Jiyoon is very friendly and has very nice personality . We really liked the hours we spent together with her in Seoul! Excellent tour guide! We have been overwhelmed by Jiyoon's charm, kindness and knowledge. She quickly understood our priorities of the day: not a full day of traditional Seoul, but also aspects of the most modern parts of the city. 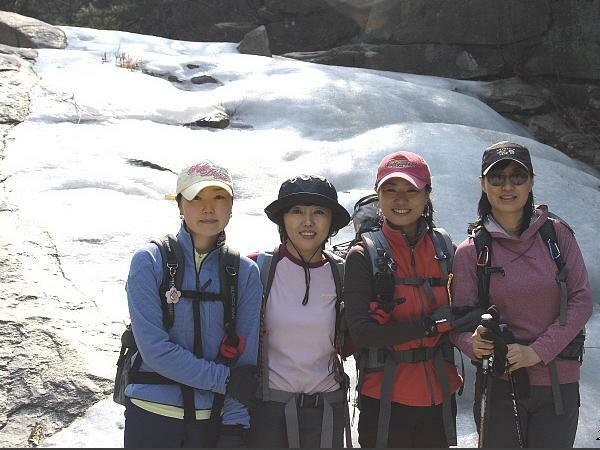 Jiyoon took charge and guided us in the friendliest way you can imagine. She watched the clock carefully and regularly checked with us if we enjoyed the tour. We travelled the city with ease: walking, taxi and underground. Thank you, Jiyoon, for enjoying traditional and modern Seoul so much. Jiyoon was a wonderful tour guide. She was so helpful and customized my tour to be exactly what I wanted. I highly recommend her! Highly recommended! Jiyoon was so easy to work with. We contacted her very last minute before a 14-hour layover in Seoul, and she was incredibly responsive and accommodating. She helped my wife and myself pack so much into our very short daytime visit. She's clearly a pro and effortlessly modified our itinerary on the fly based on our feedback, which made it feel completely custom. On top of that, she's an absolute sweetheart, and we really enjoyed her company. Jiyoon - was our guide to the DMZ and I can say that she is one of the most knowledgeable, honest and hardworking guides I have ever dealt with - not only would I hire Jiyoon again, and again, but I wholeheartedly recommend her without reservation. She is the BEST! Mark G.
TOUR GUIDE RESPONSE: Mark, thanks for your warm and heartful compliment. You are the wonderful person that I’ve ever met so far. Hope to see you again. I’ll come to the states one day!